• Cactus Pear Music Festival - fills the summer void of classical music in South Texas as the San Antonio Symphony is on its 3-month hiatus and symphony musicians leave for music festivals far and wide. • Camerata San Antonio - presents chamber music of the highest caliber to our many and diverse classical music-loving audiences, we are equally committed to providing educational concerts and musical enrichments to San Antonio's public school students. • Chamber Orchestra of San Antonio - devoted to cultivating the realm of classical music for new and versed music lovers through education, performances, and festivals that present rarely experienced as well as timeless works. • Crownridge Music Club - is a San Antonio, TX club affiliated with the National Federation of Music Clubs (NFMC) and with Texas Federated Music Clubs (TFMC). • Olmos Ensemble - performs chamber music at the highest level of artistry. Created in 1994 by Artistic Director Mark Ackerman, its musicians include principals from the San Antonio Symphony, special guest artists, and New York based pianist Warren Jones. • Musical Bridges Around the World - cultural and educational nonprofit organization focused on creating one-of-a-kind, multicultural performances by world-class, internationally renowned classical, jazz, and ethnic folk musicians and performing artists, for the benefit of the public and at-risk youth, while fostering San Antonio's reputation as a cosmopolitan cultural center and promoting tourism and development. • Musical Offerings - professional chamber music organization in San Antonio with exceptionally diverse programming of classical, jazz and contemporary chamber music. • San Antonio Chamber Music Society - brings to San Antonio and its surrounding area chamber music concerts performed by outstanding chamber music ensembles from around the world at affordable prices and provides educational activities promoting the appreciation of chamber music in general. • San Antonio International Piano Competition - sponsors public competition among aspiring pianists from around the world, encourages development of pianists in Greater San Antonio and Texas, and promotes the appreciation of piano artistry by the general public. • San Antonio Music Teachers Association - The mission of SAMTA is to advance the value of music study and music making in society and to support the professionalism of music teachers. The mission is accomplished by members who teach with competence, act with integrity, volunteer their services, and provide professional support for colleagues and communities. • San Antonio Ragtime Society - The San Antonio Ragtime Society is a group that enjoys that great American, syncopated, mostly piano, music. Sponsors the Youth Ragtime Contest and Festival at the Steinway Piano Gallery. • San Antonio Symphony - The mission of the San Antonio Symphony is to inspire and enrich our community by vigorously influencing the artistic fabric of San Antonio through excellent symphonic performance, education and service. • SOLI Chamber Ensemble - SOLI strives to break down the stereotypes linked with classical music. Founded in 1994, San Antonio Texas based ensemble annually presents a season of innovative programs in a variety of venues. Performing in unusual and intimate spaces allows the audiences to get up close and creates a user-friendly approach to the music. Audiences enjoy the 'unstuffy' nature of SOLI's performances and the informal ambience of these unusual venues. • Tuesday Musical Club - is dedicated to the promotion, study, and performance of music as a fine art. Presents four classical concerts per year that are open to the public at a most affordable price. Sponsors the Young Artists Competition. Sponsors a Juniors Club as well, which entails meetings and a competition for young musicians. • Youth Orchestras of San Antonio - The mission of YOSA, the premier orchestral experience for youth citywide, is to enhance education, enrich the community and transform lives by pursuing excellence in classical music in a stimulating, nurturing and fun environment that is equally accessible to all youth. • The Children's Chorus of San Antonio - is comprised of over 200 talented and dedicated young musicians from San Antonio and surrounding communities. Founded in 1983 by Marguerite McCormick, CCSA's mission is to bring the highest quality choral music education and performance opportunities to children throughout the metropolitan area. • San Antonio Choral Society - it is an organization in which auditioned singers drawn from the community can participate in providing quality presentations of a variety of choral works to San Antonio and South Texas audiences. • San Antonio Mastersingers - provides life-enriching experiences through the performance of choral repertoire that engages the audience, challenges the singers, raises funds for worthy charities, and supports the development of inspirational and educational opportunities through outstanding musical performances. • Texas Children's Choir - is a community choir of the greater San Antonio area that trains and equips children to provide quality choral music as a service to their community. • Alamo Arts Ballet Theatre - brings together a diverse group of individuals who love dance, the arts and developing their skills in an appreciative environment. • Ballet San Antonio - deeply committed to enriching the community through the splendor of ballet, they showcase the artistry of more than 25 professional dancers who reflect the diversity of South Texas, Latin America and beyond. They are the resident ballet company of the Tobin Center for the Performing Arts. • The Opera San Antonio - opera company dedicated to producing world-class opera featuring the greatest and most compelling masterpieces of the past and present. • ARTS San Antonio - to educate, enrich and entertain the people especially the children of the greater San Antonio region by producing and presenting the highest quality performing and visual arts with a goal to promote and enhance the cultural and educational environment of San Antonio. 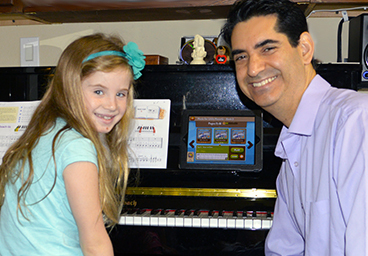 • Alamo Music - Alamo Music has extensive experience in keyboards. They represent some of the finest pianos made including Baldwin, Yamaha, Steinway, Chickering and Wurlitzer. In the Band and Orchestra fields they carry Selmer, Conn, Glaesel and Cof. Alamo Music is a full time Dealership. They are a complete music store with extensive electronics, band, guitars, other fretted instruments, piano sales and service centers. • RBC Music - sheet music resource for Piano, Guitar, Pop, Country & Latin Artists, Concert Band and Marching Band Music, Instrumental Music, Choral & Vocal Music, Orchestra Music and much more. • Steinway Piano Gallery - offers the area's premier selection of new and used pianos, player systems, and digitals, along with the finest in customer services. • Carver Community Cultural Center - a thriving hub for educational, social and cultural services on the east side of San Antonio serving the African-American community and broader reaches of the San Antonio metropolitan area. • Lila Cockrell Theatre - named after a former Mayor of San Antonio, is located in the northeast corner of the Henry B. Gonzalez Convention Center. Although the Theatre was originally designed for traditional performing arts events such as ballet, symphony and drama, a major renovation in 2010 has enhanced its utility as an ideal venue for multi-media presentations, concerts, lectures and general meetings for large attendance convention events. • Majestic Theatre - located in the heart of downtown San Antonio, the Majestic Theatre was built in 1929 and was designed in a Spanish Mediterranean style by John Eberson for Karl Hoblitzelle's Interstate Theatres. • Tobin Center for the Performing Arts - an under construction versatile, world-class performing arts facility. Will offer opportunities for children to receive specialized education and exposure to extraordinary performances. Proposed as new magnet for downtown revitalization, located on the "new" River Walk leading up to the Museum Reach. A much-needed home where resident performing arts groups can grow and thrive.